Mahabaleshwar is one of the most visited hill stations in the western ghats, especially by the people from Mumbai, Pune, and few places in Gujarat. Also known as the strawberry city, Mahabaleshwar is full of strawberry fields all around, and even one of the most famous sharbat/squash brands, Mapro, started here. With so many viewpoints, you can spend an entire weekend visiting these and be taken aback by the breathtaking views of the surrounding hills. The best time to visit Mahabaleshwar is after the monsoon, for a greener scenery. But I visited the city in March when the weather was mildly hot, and the hill ranges were not so green. I had taken an overnight bus from Bangalore to Mahabaleshwar. But there are many other ways to reach the city, depending on your choice of transportation mode. If like me, you are coming from a distant city, you can book a flight to Pune or Mumbai, and then take a bus from there to Mahabaleshwar. You can even hire a local taxi or drive yourself to the city, especially if you are coming from Pune because the Pune-Mahabaleshwar distance is not too much. If you are also coming from Bangalore like me, you can take an overnight bus till Satara and then from there take a local taxi to the Mahabaleshwar. Other options are to take a bus till Wai or Nipani, depending on whichever place is closer to your hotel. The nearest railway station to Mahabaleshwar is in Pune and from Pune, you can take bus, taxi, or bike to the hill station. PS: It is very hard, maybe not even possible to rent bikes in Mahabaleshwar because of a strong taxi union that wouldn't allow this. So taxis are your answer when you need a conveyance to tour the city and do have one of your own. There are many beautiful resorts, hotels, and homestays in Mahabaleshwar. You can check the list of accommodations here. I stayed with Hotel Mahabaleshwar Fragrance and while the building was fairly new, the rooms were very neat and spacious too. The highlight though was the location of the building and the view of the hills from the room. There is an adjacent strawberry farm, a free tour of which is included as a part of your reservation. The staff was also really polite and quickly accessible. The two things that you would need to consider though, one there is no elevator in the building, but the staff will help you shift your luggage, and second not all the rooms have best views, so make sure to check with the management before you make your booking. I had my friends from Pune also visit the city at the same time. 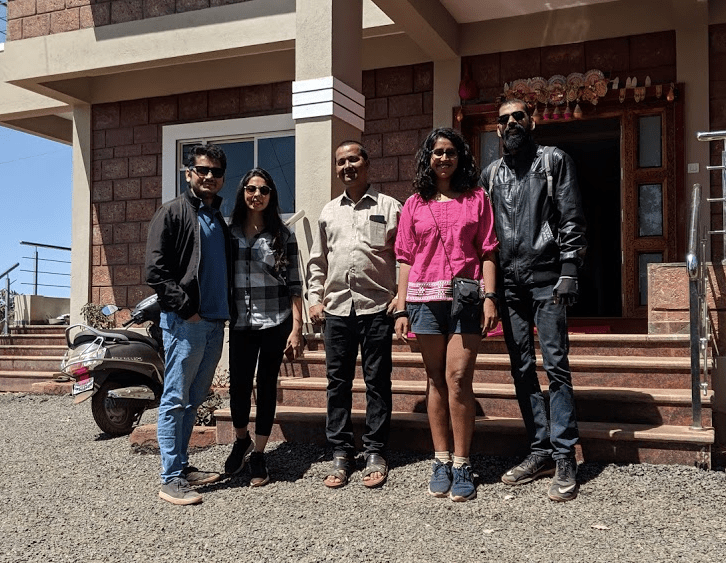 We effectively had only one day in Mahabaleshwar, so we tried to fit in as much as we could on that day. We started off the day by visiting Mapro Gardens. Located in the neighboring town of Panchgani, it is a massive garden, with a restaurant, and a retail outlet for Mapro products. We had our breakfast here and also the Strawberry Cream Ice Cream - Fresh cream, strawberries, and ice cream all layered up in a glass. You can also buy Jams, Syrups, Chocolates, and Juices from their outlet. My hotel’s manager had suggested us to visit Triveni point, hike to which started right opposite to the Mapro Gardens. So that is where we went next with our tummies full till throats. Not many tourists know about this place - apparently, it is not shown or suggested as part of the tour packages that some people take. But it is a perfect location for both sunrise and sunset. A small trek through jungles and you are welcomed by the crazy 360 degree views of the surrounding peaks. Also known as the mini Kashmir of the west, Tapola Dam would definitely be a treat to the eyes during monsoon. I could not see the mini Kashmir as it'd be, but it was still quite impressive. A vast stretch of clear blue water, sparkling with yellow colors of the sun. The ride from Mahabaleshwar to Tapola is even more incredible - passing through jungles and crossing tiny villages. We made multiple photo-stops in between just because each view looked prettier than the other. We stayed at the dam for a little time and had tea from nearby stalls before we headed back to the city. It is a typical touristy point, I would say. We reached the point way ahead of time and much to our surprise, it was full of people - I have never seen a viewpoint so much crowded. While the sunset view was good enough, I'd suggest you to explore other viewpoints for the sunset. As we rode back to the city, the sky got darker and the stars brighter. We made a "not so quick" photo-stop to capture the starlit night. 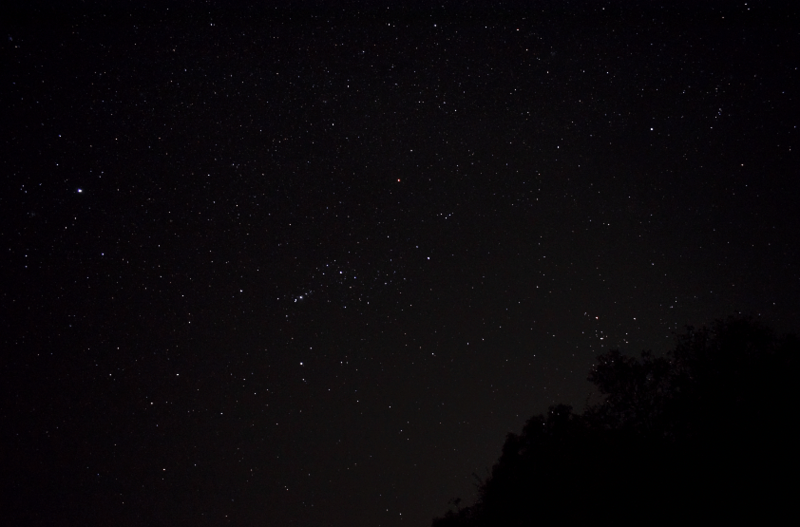 It was one of the best moments ever, standing by the road and looking above to an absolutely silent star bed. I so wish I had a few more days in the city. There's just so much more to see!